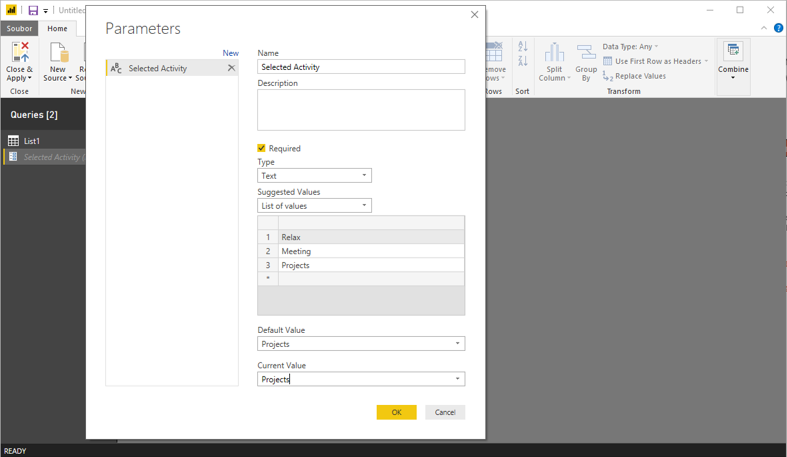 This is about parameters in Power BI queries. 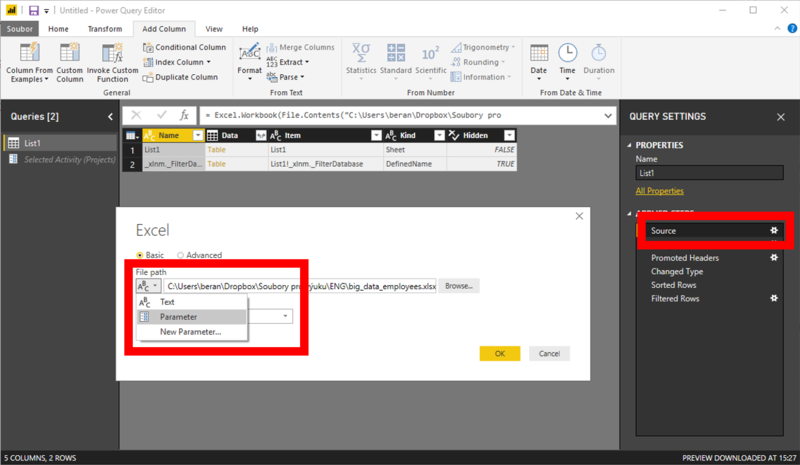 It is something similar to parameters in Power Query, but something different from parameters used in DAX, managed from visuals. Parameter is useful if you want to run a single query in multiple modifications - for different items, sources etc. In following example we will start with this table, loaded from Excel. 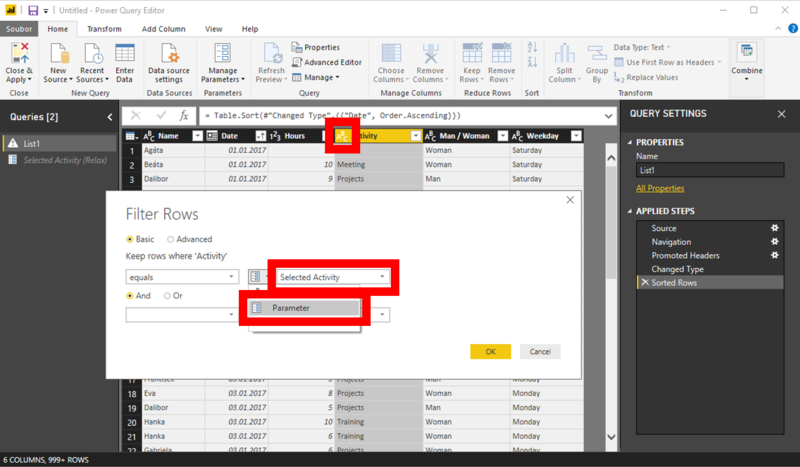 We will run this query multiple times for different Activities (the fourth column). New parameter appears in the list of queries. You can find it there anytime and switch its value and properties. 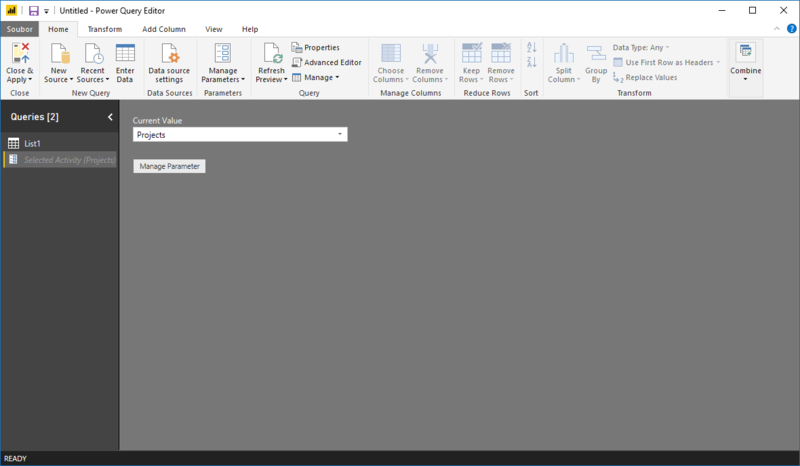 After refreshing of this query there are just rows meeting parameter loaded. And where can utilize the parameter, besides filter?